Why buy Arzep (Azelastine Hcl) for Allergy? The active ingredient in Arzep is a potent, long-acting, fast-acting, antihistamine. It’s intended for nasal administration in adults and pediatric patients over 5 years old. It is available in generic form. 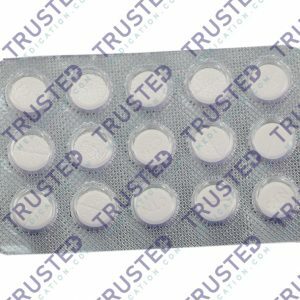 You can buy Azelastine HCL here at a cheaper price. How does Arzep (Azelastine Hcl) work? Arzep acts by blocking certain natural substances in the body called histamines. It is responsible for several nasal symptoms. Histamines bind to the H1 receptor in small blood vessels in the nasal passages. This causes them to leak, allowing white blood cells and blood proteins into the tissues causing the tissue to swell and become irritated. This dual action of Arzep can reduce several nasal symptoms caused by allergic reactions. How to use Arzep (Azelastine Hcl)? Arzep comes in a bottle which is equipped with a nozzle to facilitate the spraying of the solution. Before using this product, consult your doctor first. Your doctor will inform you of your required dosage frequency. Before using the nasal spray, remove the protective cap and shake the bottle. Apply one spray into each nostril twice daily, morning and evening or as instructed by your doctor. Use Arzep regularly. You can use it continuously for up to 6 months. What are the side effects of Arzep (Azelastine Hcl)? These side effects are possible but do not always occur. Consult your doctor if any of these side effects were observed. Inform your doctor about your current medications, OTC health products, allergies, pre-existing diseases, and current health conditions. Do not use Arzep if you are allergic to Azelastine. Do not use Arzep if you are pregnant or breastfeeding. Do not use Arzep if you are taking any medications that interact with Azelastine. Take Arzep as prescribed or directed by the doctor. Kenacort is a steroid injection used to treat allergic diseases. It contains an active ingredient which suppresses inflammation. It also relieves swelling, itching, and redness. This can also be used in treating painful muscles and joints. It is directly injected into the problem area. Triamcinolone reduces the production of chemicals in the body that causes allergies and inflammation. You can buy Triamcinolone here. 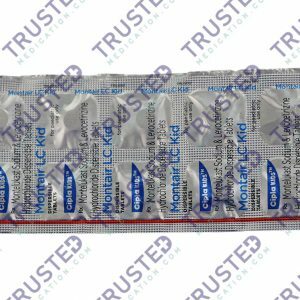 Montair LC Kid (Montelukast Sodium and Levocetrizine HCL) belongs to the antihistamines group of medicine. It is used to treat and prevent diseases, conditions and symptoms of allergic rhinitis, inflammation of the nose due to allergy, exercise-induced bronchospasm, chronic idiopathic urticaria and reddish itchy weal. This drug can help relief itching due to hives. You can buy Montelukast Sodium and Levocetrizine HCL here. 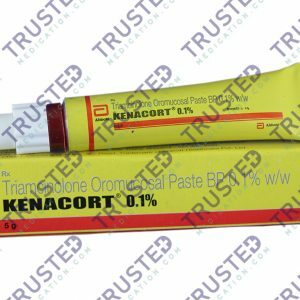 Kenacort Paste (Triamcinolone Acetonide) is a topical medication that can treat inflammation and itching caused by conditions like allergies, lupus, arthritis, ulcerative colitis and other skin conditions. Triamcinolone Acetonide is a prescription corticosteroid that prevents the release of the substances in the body that causes inflammation and swelling. You can buy Triamcinolone Acetonide here. Ciplactin with a generic name Periactin contains an active ingredient Cyproheptadine HCL. It is an antihistamine medicine used to relieve allergy symptoms caused by perennial and seasonal allergies. Ciplactin can also treat mild, uncomplicated hives. You can buy Cyproheptadine HCL here anytime.